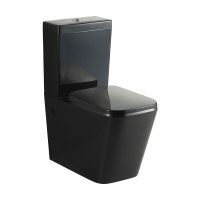 The Select Assist Special Needs toilet suite is suitable for anyone with special needs or requires assistance with their toiletry requirements. It is specially designed for use in both commercial and domestic applications. 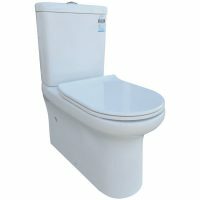 The Select Assist Special Needs toilet suite is high quality product that is compliant with the Australian AS1428.1 standard. 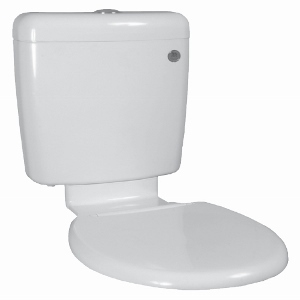 It features a mid-level plastic cistern and a concealed S trap pan made out of vitreous china. The flush buttons and the seat feature a dark blue colour for the visually impaired. All parts are highly durable and sturdy. The Select Assist Special Needs toilet suite highly water efficient. It has a 4 star WELS rating and a flow rate of 4.5/3.3 litres per average flush. This is a high quality product that is designed to withstand several years of substantial usage. 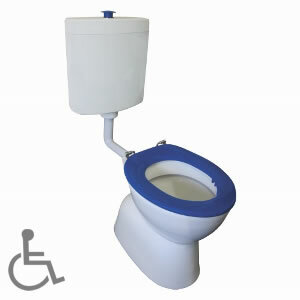 Get the Select Assist Special Needs toilet suite at a very competitive price from Ross’s Discount Home Centre. You won’t find this product cheaper elsewhere. Moreover, buy it online and receive free shopping to Perth Metro areas.